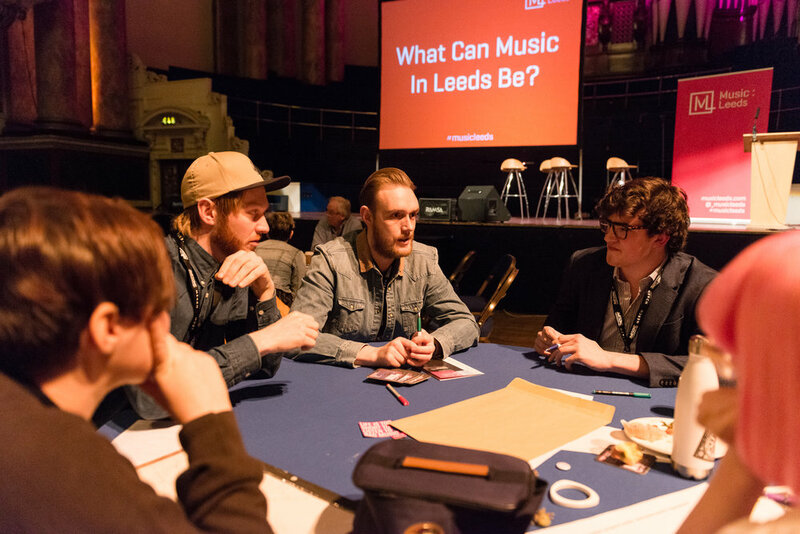 Music:Leeds is a not-for-profit organisation established to act as a single, centralised point of contact that will coordinate activity to support, promote, develop and grow music-based activity within the city across any level, medium, genre or pathway. This will include targeted projects, creating networking opportunities, mediation, and signposting for individuals, local organisations and businesses, funding organisations, local and national government and national music industry bodies. Music:Leeds is led by Samuel Nicholls aka whiskas, previously a musician, promoter, venue manager, artist manager and record label owner in the city who now works as Lecturer in Music at Leeds Beckett University, is an advisor for PRS Foundation and Arts Council England and is part of the Artistic Programme Advisory group for Leeds 2023.